A user can end a phone call by clicking the headphone switch. 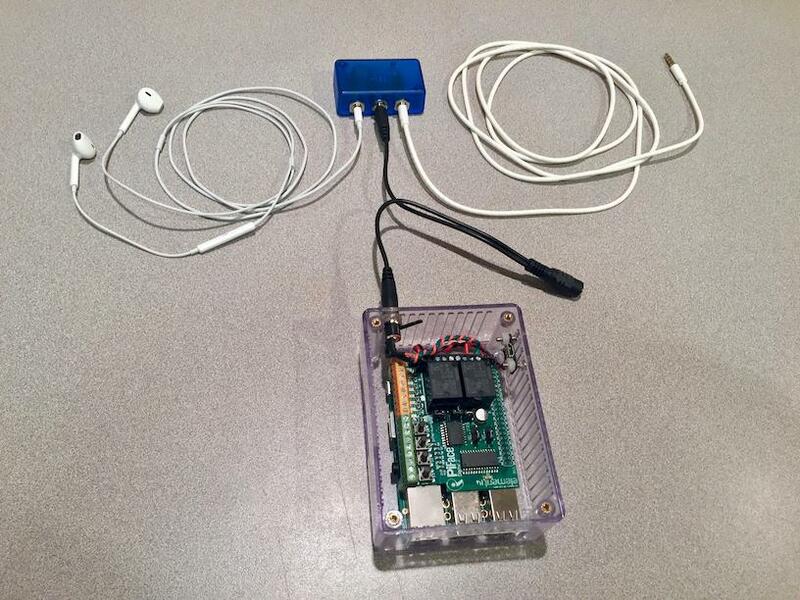 A program can end a phone call by closing a headphone breakout switch. Overly complicated compared to springboard solution. Could accidentally damage phone or raspberry pi or yourself. If you are careful I think the risks are low, but no warranty! Not directly applicable to phone without a headphone jack, but could substitute an actuator to mechanically press switch. It has a button to call a phone number. XCUITest runs the test from Swift on iOS. It needs a way to ask the raspberry pi to end the call. I didn't see an easy way to issue a system call or spawn a process. So XCUITest makes an http request to an external web server, ask it to close switch. Making a phone call requires a device, not a simulator. 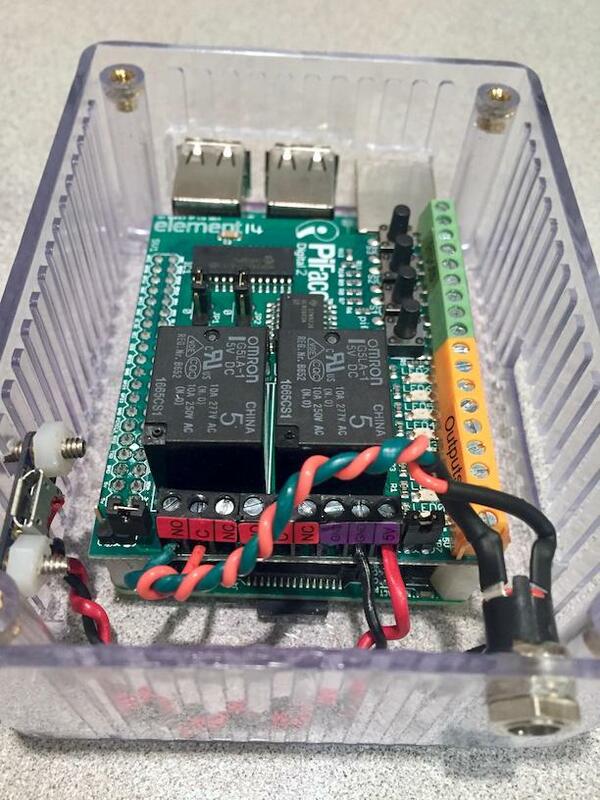 The Raspberry Pi runs a web service and connects to a relay board. runs on the local wifi network. Currently the prototype service runs on the local network, and is not very secured. By default an iOS app that talks with a web service requires https and TLS 1.2. Apparently XCUITest doesn't require this, at least when talking with a service on the local network. The raspberry pi connects to a relay. The relay connects to a headphone breakout switch between the headphone jack and the iPhone plug. The relay acts like the headset "end call" switch, momentarily shorting the headset microphone contact to ground. A standard iPhone wired headphone with a 4 connector plug. The iOS XCUITest sends an http request to the pi web service to end the call. The pi's python web service routes the incoming request to handling function gpio_end_phone_call. The pi momentarily closes the relay. In the breakout switch this shorts the headphone microphone and ground contacts. One or more test expectations are fulfilled. The test adds a UIInterruptionMonitor, then interacts with the app UI via swipeUp or tap. 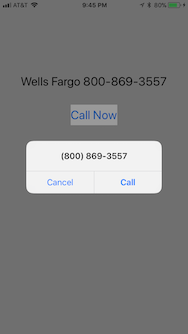 Without this, the iOS phone call alert handler doesn't fire. But with it, the test usually ends with error ~ "Application for Target Application 0x1c40af060 is not foreground.". I fixed the failure by switching to springboard. That made this approach obsolete. Phoney is an iOS application to experiment with testing phone calls. Uses XCUITest to make an http request to an external web server, asks it to end call by closing switch. Uses XCUITest with Springboard to tap End call button. Make a simple Python flask web service to read and write Raspberry Pi GPIO.